More than 45 cases of measles have been reported in Clark County, Wash., with at least one case confirmed in Multnomah County and two more in Hawaii. As officials scramble to contain the outbreak, Yamhill County is preparing for the disease should it spread to the Chehalem Valley. There are no reported cases in the county so far. According to Public Health Administrator Lindsey Manfrin, vaccination is the first and most crucial step toward prevention. Otherwise, it's a difficult disease to contain. "Measles is a bit unique in that it is one of the more highly contagious diseases," Manfrin said. "There's not as much one can do to prevent the spread, but covering your cough and washing your hands frequently are important. If you feel like you're getting any of the symptoms, make sure to get evaluated by a medical provider as soon as possible." 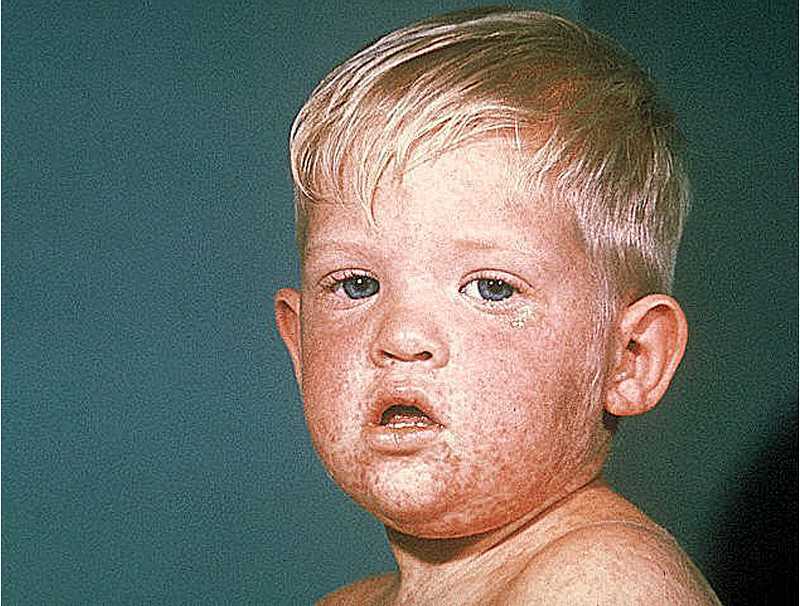 Measles symptoms include a fever, dry cough, runny nose, sore throat, inflamed eyes, a skin rash with large, flat blotches and tiny white spots inside the mouth. The incubation period of the disease is to 10 to 14 days after infection, during which a patient typically exhibits no symptoms. The MMR vaccine, which stands for measles, mumps and rubella, is 93 percent effective after the first dose and 97 percent effective after the second dose – both of which should be separated by 28 days for children 12 months and older. Infants should receive their first dose between 6 and 11 months of age along with a second and third dose between 12 and 15 months. Minor side effects of the vaccine include pain at the site, fever, a mild rash or swelling. Severe side effects and allergies are rare and there is no mercury in childhood vaccines or risk of developing autism, physicians say. "It's a unique time right now," Manfrin said. "We are reviewing the records around kids that either need the appropriate vaccinations or have appropriate medical or non-medical exemptions in place. It's about time when immunizations are on the minds of schools." Yamhill County Public Health has been in constant contact with local providers, schools and community members about measles prevention. Providence Newberg Medical Center said it is "monitoring the situation" and will continue looking to the public health department for guidance. Should measles make its way to Yamhill County, the first case will result in a "contact investigation," which Manfrin said uncovers where the patient might have contracted the disease and identifies potential areas of exposure. For example, Multnomah County identified a Portland Trail Blazers game on Jan. 11 as a potential area of exposure because a contagious person attended the game. Yamhill County has been consulted by local providers about patients exhibiting measles symptoms, but every case so far has been ruled out. However, people are on edge about the potential spread, Manfrin said. "Folks are aware and are on high alert for any sort of rash," she said. "We're fielding a lot of those type of calls and being proactive by sending those messages out to our providers." For more information on measles in Yamhill County, visit www.hhs.co.yamhill.or.us/hhs-ph/measles. The page will be updated regularly if and when the situation changes. The Safeway at 1140 N. Springbrook Road in Newberg is offering MMR vaccinations, along with the majority of Safeway and Albertson's locations in the state. You can reach the Newberg Safeway by phone at 503-537-4001.